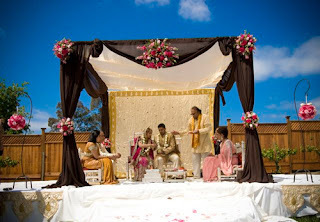 No Indian wedding is complete without the wedding mandap. 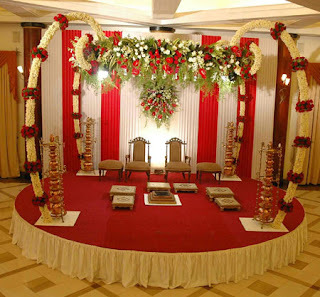 The wedding mandap is basically a covered four pillared pavilion where the bride and bridegroom are married. 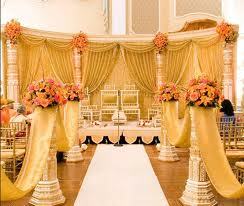 The Indian wedding ceremony is supposed to happen in the mandap. 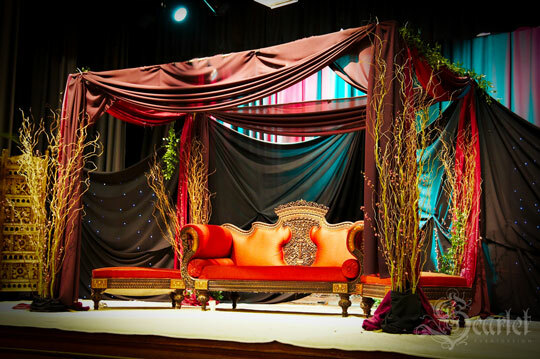 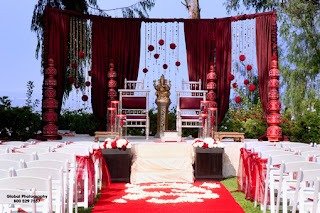 Usually, the modern mandap will also have chairs for the bride and the bridegroom, as well as side chairs for the parents. 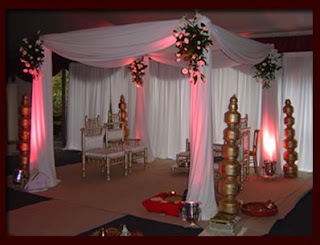 For Hindu Indian weddings, there will usually be space for a pedestal for the sacred fire for the wedding ceremony.